Just south of Cannon Beach in the tranquil community of Arch Cape is the Sally's Alley Retreat vacation rental home. This vacation rental is just a few steps to the beach and enjoys plenty of panoramic ocean views from the home and deck! Trickling creek alongside the woodsy setting. Enjoy dining outside at the picnic table on the deck while you whale watch. A short drive from Cannon Beach where you'll find many fine restaurants, galleries and interesting shops. 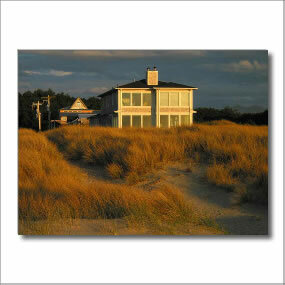 Beach Break Vacation Rentals LLC can provide an Oregon Coast vacation to suit. Plan your visit to Arch Cape.